George Zimmerman Shot at—by Guy He Threatened Last Year? (Newser) – George Zimmerman is embroiled in another shooting: Police in Lake Mary, Fla., say he was part of a shooting incident this afternoon. Details are scant, but though WESH initially reported Zimmerman suffered a minor gunshot wound, police say Zimmerman was only sprayed with glass and debris that hit his windshield, and he's been released from hospital. 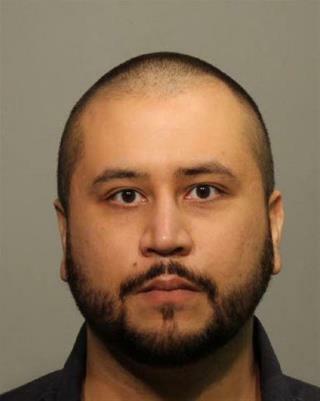 "His injuries would be considered minor," Zimmerman's attorney tells the AP. "The bullet missed his head. I think it broke a window and lodged in his vehicle." Police have identified the other person involved as Matthew Apperson, who reportedly clashed with Zimmerman in a road-rage incident last year, the Orlando Sentinel reports. Apperson is said to be cooperating with authorities. Next on Newser: Success! Rare Conjoined Twins Separated in Fla. He hasn't moved 5 miles. It's not a question of if, but when. This POS will kill again. He is a nut with a gun, he sure is making the NRA happy. 312 comments on an article about this douch. Don't worry, he will pull an OJ and go away for a long time, eventually.